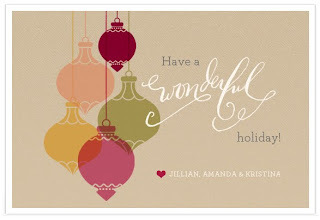 I stumbled upon this really cute Christmas card from 100 Layer Cake. Happy Holidays! My mother-in-law saw this Christmas idea and we decided to try it out on Christmas Eve. She chose three different sized clear glass vases and placed clear marbles in the bottom. We placed a sprig of holly with red berries into each and poured water in the vases. Then, we added about an inch of cranberries to float on top of the water. 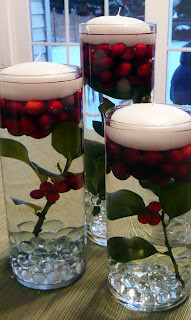 The finishing touch was adding floating candles on the cranberries. The Christmas display looked beautiful on the kitchen table, especially when the candles were lit. Hope you had a great Christmas! Here's a link on how to make the cutest garland ever found! 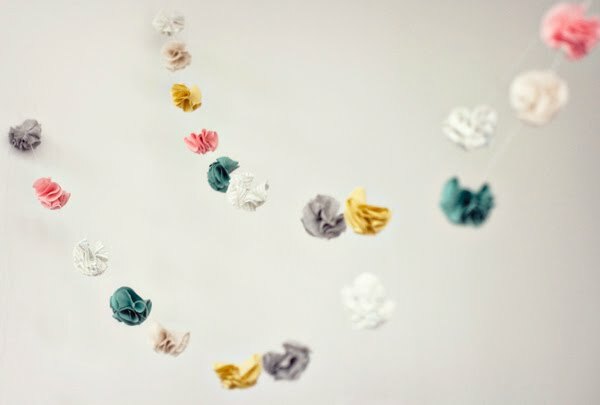 Substitute with holiday colors for the season.